More and more websites use full-screen video backgrounds due to increased internet speed and improved browser engines. Online marketing has always been a competitive market. People are constantly finding new ways of improving their websites and capturing the attention of their viewers. Placing a video background on a website homepage has been a fast-growing trend over the past few years and its popularity increases even more each year. Nowadays, more and more websites use full-screen video backgrounds due to increased internet speed and improved browser engines. After all, video backgrounds are appealing to visitors and viewers alike, because they give a certain amount of life to websites, making them more interesting and enjoyable to look at. Here are a few tips that can help you effectively implement video backgrounds to your website. 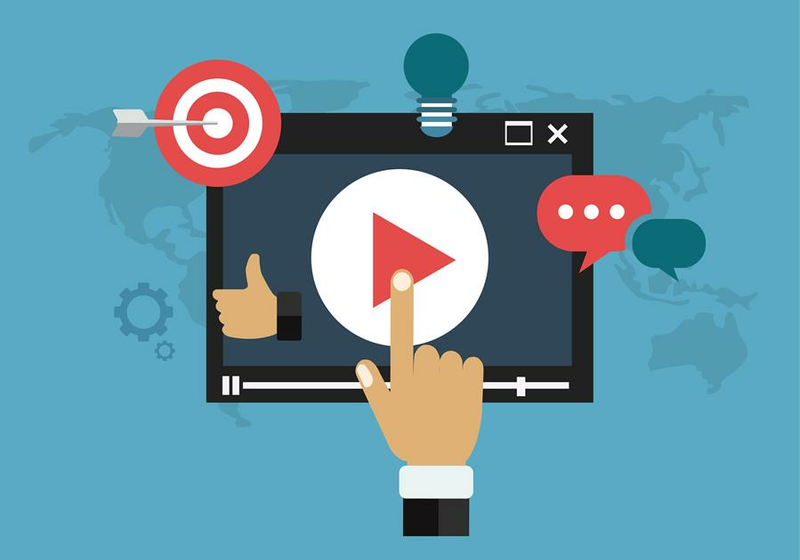 First of all, create a video that will send a strong message to your audience, and choose a video that will symbolize your business or your product. Placing a random video as your website background ‒ just because you can ‒ will confuse and mislead your viewers. Furthermore, you must be careful about the contrast between the text and the video itself. If your video is darker, then choose a lighter font for the text. The same principle goes for lighter videos; use a darker color or black for the text on the homepage. Find the perfect balance between a video and text so they don't clash and overlap. A good practice would be to use less text that will stand out while a video subtly plays in the background. Even with a good contrast between text and a video, the whole picture can look quite messy and poorly done. This happens when a video background is quite energetic and full of details. That's ok ‒ the issue can be easily mended by using a darker or lighter overlay. An overlay will tone down the video background, allowing your text to stand out and be a lot more readable without sacrificing any video details. You can check out website of the Alexander Thomas Media which is an excellent example of awesome video background. A good piece of advice would be to mute the video altogether. People find it frustrating and annoying when a webpage starts playing a sound as soon as it loads. Just imagine someone who is listening to loud music decides to visit your website and your video sound starts interfering with their music. There is a good chance that person will leave immediately. If you want to give viewers a whole experience using both video and sound, then offer a mute button that viewers can choose to press and play sound if they want to. The key for having a good video background is compressing the file size. Using oversized, high resolution videos can slow down the user's connection, forcing a video to stop and buffer every few seconds. This should be avoided because you want your audience to enjoy your website, not wait for content to load. You should use shorter videos, somewhere between 30 to 40 seconds tops or use videos that are 5 to 10 seconds long and make them loop ‒ that will give an impression that the video is longer. You should try to have a file that is around 6mb in size. That way, your video can play on any device without interruptions and drawbacks, and without suffering a quality reduction. Implementing a video background for your website may come in conflict with some devices and browsers. This is mostly because the trend is gaining in popularity, but it hasn't reached the point where it is standardized in the online community. For example, iOS devices won't allow a video to auto-play; instead, a large play icon will appear over the video. Android devices also don’t cooperate well with this trend. When it comes to PC browsers, your video may come in conflict there as well. Different browsers support different file formats. To avoid the issue, just check different browsers and their file-type support. To summarize, a website homepage video background is a trend that's gaining in popularity each year. A video background makes a website more interesting and appealing to the human tendency to focus on moving things. A video background can greatly benefit your business and help you attract more viewers ‒ just make sure you create a good video and implement it the right way.